Come for one week or the whole summer! Fun in the Sun at RCN has provided a safe learning environment for thousands of kids for over 60 years. It’s a wonderful place for kids to hang out, make friends, grow, and explore life! Located on 4+ shady acres near Highland Park, there is plenty of outdoor fun going on! Engaging themed activities, special events, weekly field trips, science, nature exploration, basketball and soccer. Themed programs are based on NYS Common Core standards, STEAM, ELA and Literacy for Summer. RCN engages with STEAM specialists who bring hands-on, project-based learning to take our children to a new level of interest and understanding in a fun environment! A week of team building activities that focus on character development. We will start a garden, explore the beautiful sights around the South Wedge, and visit the Highland Park Conservatory. Have you ever wanted to spend a day as a bug? During this week the children will collect bugs and learn about a variety of bugs with a visit from Mr. Tom’s bug collection. They will also sculpt a giant bug out of papier mache. Week 3: Master Chef Jr. Looking for a way to encourage children to try different foods? Using math and science skills the children will take part in a variety of cooking experiences and attend Tops cooking school. They will end the week by creating a cookbook filled with their favorite recipes. This week we will be looking for the modern day Pablo Picasso or Laura Waring. Splatter canvas painting, clay sculpting, and bubble art are just a few of the different media we will use. Yo ho ho! All hands on deck as we “Run a rig” this week. Some will have to walk the plank if we capture the hidden treasure! We will use our imagination, take on several Pirate adventures and even take a ride on the Erie Canal. It’s the American dream to start and run your own business. This week the children will get a chance to develop their own business and hire and manage employees. Our young entrepreneurs will learn about budgeting, money management, and customer service. This week the children will take a trip back in time and see how life was without modern technology. We will visit Genesee Country Museum, learn self-help skills, and see how life was different for hunters and pioneers in the past. Time to get creative! We will take a look at some of our favorite inventions to date. We will brainstorm ideas to create the next big thing. Put on your lab coats and safety goggles! Our scientists begin performing experiments, predicting, mixing and creating. They will explore chemical reactions, and mix compounds that erupt and turn into soda. This week our athletes will put all the skills they developed throughout the summer together to compete in the RCN Olympic Games. They will participate in team and individual competitions from a spelling bee, to tug-a-war, relay races, to long jump. 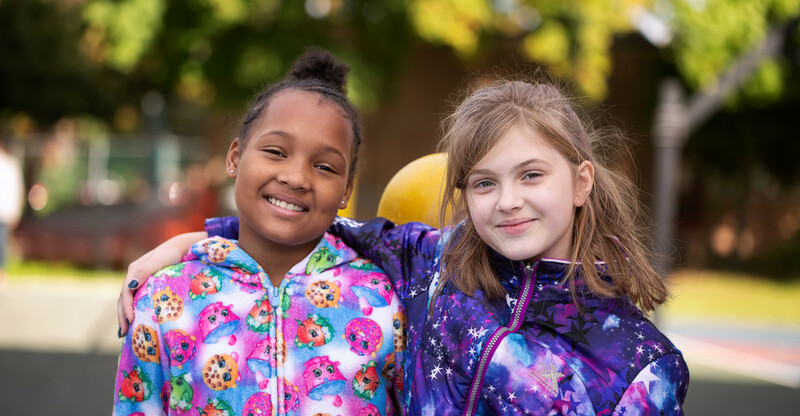 Build Friendships and Prevent Summer Learning Loss! Our teachers will build intentional relationships with each child so that they feel safe and welcome. 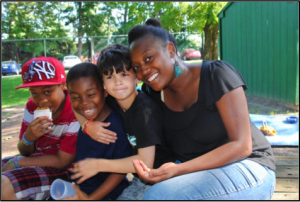 We build trust between adults and children and support them building strong social skills with their peers. RCN provides experiential learning along with creative curricula to reinforce academics, such as math and literacy. Studies show that children retain learning at a higher level when lessons are reinforced during the summer months.